Many new young, explosives guards and forwards in the league have begun to show sparks of their true potential (Paul George, Harrison Barnes, Klay Thompson, James Harden). 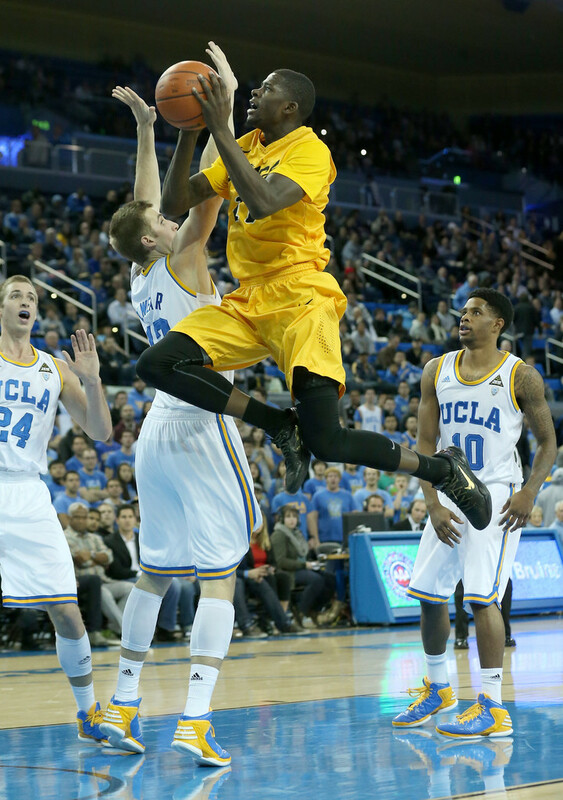 James Ennis, a 6’7″ senior out of Long Beach State, is hoping to channel some of that potential in his own game, reflective of the previously mentioned cast of characters. It might come surprising to some, but he’s actually working with some major upsides as his potential is intriguing for a projected second-rounder, although his downsides could be deal-breakers for teams that are more skeptical. Ennis is another dark horse to pay attention to in the draft, because of how promising his athleticism, energy, IQ, and work ethic is. Don’t take his flashy highlight reel dunking for granted, Ennis is a well-rounded guard/forward combo that is a proficient catch-and-shooter, as well as a deep threat (shot 36% from downtown). His impressive athleticism, size, and momentum-reliant play make him lethal on the fastbreak, where he thrives in the open court on his run to jumping ability. He’s a hard worker who’s constantly battling for rebounds, and rounds out his game with good handles, and the IQ and vision of an efficient passer. Regardless of his age (23), Ennis is both a mature player with four years of college experience and a player with a high ceiling to keep improving. We mentioned that Ennis’ play relies on the momentum of the game which means that his half court game is weak due to his inability to create for himself on isolations. He lacks overall speed and a quick enough first step to blow by his defender. On the defensive, lacking speed is still a concern and less upper body strength means he’s bullied in the paint and defending post-ups. He did average 3 turnovers a game, but the ball was in his hands most of the time. The level of competition also isn’t the most difficult in Long Beach’s Big West Conference, so it’s unknown whether or not he’ll be able to transition smoothly to the NBA style of play. There are definitely teams that will be looking for an athletic, high-flying guard/forward sometime in the second round of the draft. Ennis’ explosiveness and ability to score could be use to many teams coming off the bench, but a starting role is more than likely out of the question (especially looking at the teams with those picks). Depending on the team, he could be a potential sixth man, but there’s a better chance he’ll fill a bench seat just a bit deeper than that. This entry was posted in Home, NBA Draft and tagged basketball, big west conference, Harrison Barnes, james ennis, james harden, Klay Thompson, long beach state, NBA, nba draft 2013, NBA Rookie Class, NBA rookies, paul george, sports by congetz. Bookmark the permalink.